14. Increased transmission resistance - more losses in transmission. Volvo VNL 780 by Franck Brasil. Kenworth T908 by Virat, SCS Software. Modell: AlexeyP and SCS Software. Textur: AlexeyP and SCS Software. Script: AlexeyP and SCS Software. Idee / Konzept: AlexeyP and SCS Software. Tester: AlexeyP and SCS Software. Sonstige: AlexeyP and SCS Software. I very recommend to use gameplay and controls settings from provided jpg screenshots for better experince from this physics mod. 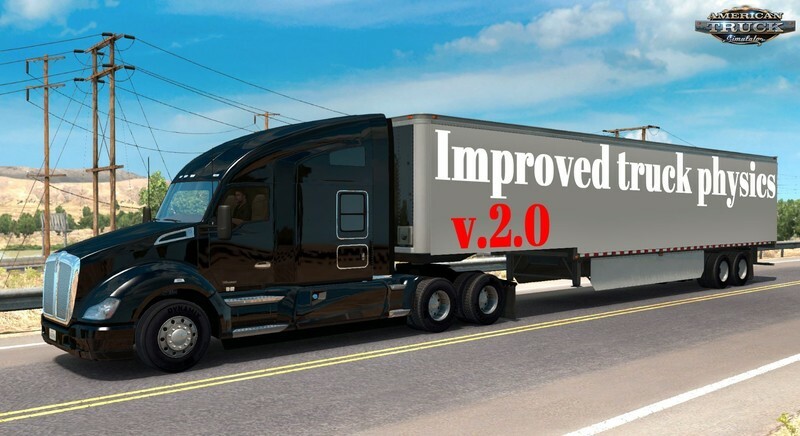 Mod support all trucks and trailers, but full support available only for trucks and trailers from vanilla game version. 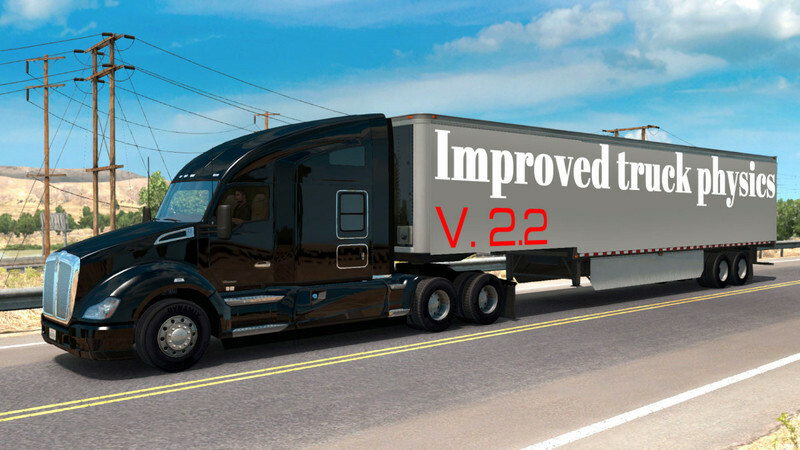 Other truck/trailer mods can be adapted manually (see section “truck/trailer mod adaptation” in readme file). -Some changes in driver physics.